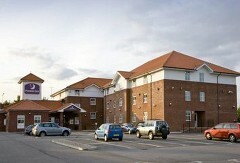 The Premier Inn Chelmsford City Centre hotel will be right up your street. Just minutes away from the stunning Chelmsford Cathedral, and perfectly placed for day trips into London - just a 30 minute train ride away. Fitted with our new generation bedrooms, featuring an impressive 40" flat screen TV, bright, modern bathroom with a large shower head and slumber-inducing Hypnos bed you can be assured of a comfortable stay. Looking for the best Premier Inn deals in Chelmsford? Book direct for the best price. ​Located at services by the intersection of the A12 (Chelmsford Bypass) and A138 to Stansted. The excellent road network provides good access towards Colchester, Braintree, Romford, Southend and Lakeside Shopping Centre. 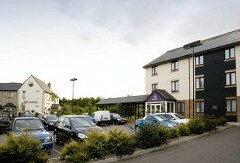 The Premier Inn Chelmsford offers free on-site parking and good restaurant serving excellent quality value meals. Within easy reach of the A12, and is 3 miles from Chelmsford town centre, Cathedral and train station. The Premier Inn Boreham offers free on-site parking, air-conditioned rooms and has a Chef & Brewer pub restaurant serving great value meals throughout the day. Get the best Premier Inn offers in Chelmsford by booking direct.